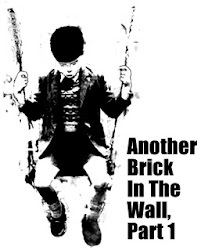 Another Brick in the Wall: Felda: "Not again ... please"
FGV had aborted the offer to buy 37% of EHP. FIC was considered the alternative vehicle. Heard it was initially rejected by FIC and passed over to Felda, the statutory body. Like a hot potato being passed aroound, it came back to FIC. FIC recently announced to buy the same block at US$505.4 million, which is substantially lower lower than the first offer in June 2015 to FGV at US$680 million and the subsequent 15% discount offered later. This deal was made controversial because CIMB, and this time by the Chairman Dato Nazir Abdul Razak, called the offer price as too high a premium. Maybe it is because Nazir and CIMB could not whet his beak in the deal like the failed plantation tri-merger, but opposition politicians have gone to town to ride on their call. 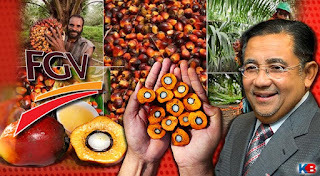 The not so knowledgeable on corporate matter and purely political rhetorics, Dato Ezam Md Nor was hoping Felda could be the to relaunched his failed political career. When politicians join in the act, the actual investment and corporate governance issues will be lost. The usual shallow brickbat will gain the headline. When Felda issue for GE 14 is played out again, past issues surrounding the listing of FGV in 2012 will be revived. Kinibiz did a 4-part series in March 2013, during the heat of campaign - Part 1, Part 2, Part 3, and Part 4. How much predicted turned out true? It is good to recall back the explanations and remind those involved with Felda of the promises they made to settlers and other stakeholders of the globalisation plan to list FGV. By 2015, FGV was seen by settlers and market as not meeting its expectation [read The Star May 2015 here]. The biggest oil palm company in the world was removed from Bursa Malaysia's FTSE index list of 30 top companies in early June. With negative sentiment against FGV revived, the mid-June 2015 announcement to buy the EHP stake can only be expected not to be well received. The concern on accepting the EHP was the overvaluation and debt level of FGV and EHP. It was also spin as a bailout for Peter Sondakh [read LSS here]. By July 2015, it was called off. There was attempt to revise the price but by October 2015, new CEO Dato Zakaria Arshad made it clear FGV will not be on an acquisition trail but to focus on its core business [read The Edge here]. The operation rationalisation strategy for FGV was laid out recently on January 2, 2017 [read NST here]. However, Felda Group have not forgotten EHP. Non-listed FIC announced they have agreed to buy the EHP stake offered on Christmas Eve [read here]. Felda defended the back-door purchase [read FAQ here]. It is a similar argument to Dato Emir Mavani defense of the FGV purchase albeit at a substantially higher price, before he was replaced [hear the Bloomberg interview here]. One concern with the FIC purchase is it seemed to have deviated from the original purpose of its establishment. It is basically the re-establishment a second Felda Holding that was listed as FGV. FIC is responsible to undertake business activities, which are non-plantation related and at present, it is principally involved in the areas of property development; hospitality; and other strategic investments. The main objective of FIC is to focus on strategic businesses via acquisitions or collaborations that may benefit the company and its stakeholders in the long run. Perhaps EHP could be considered a strategic investment. Since none of the settlers housing scheme has yet to be delivered and complain is it is too expensive due to intervention by the gods of Felda, where do FIC derived its funding to undertake past and the current M&A exercises? Be it FGV or Felda or FGV or Koperasi Felda, all are intertwined to each other. One bad news will affect others. Unless settlers matters urgently addressed, fragile sentiment heard at the ground among second, and third generation settlers could worsen. Those are voters. A sigh can be heard from afar, "Not again ... please."